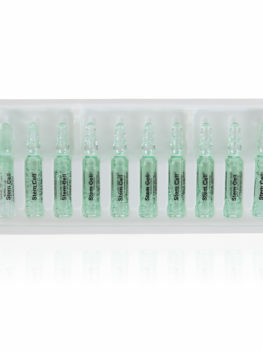 SKIN EXPECT is Decosmet’s system of special ampoules containing the highest concentration of active ingredients for an extensive skin care that is fast, effective and easy to use. Mr. Walther Janssen and Dr. Roland Sacher has been develop a series of the ampoule, using herbs and marine biological extraction, broken down to a very small state make it easy to absorb. According to different skin needs, more than 20 models, ampoule has been creat. In a very short time, the tiny active ingredient absorb deep in to skin cells. Natural enzymes dissolve an adhere substance between horny cells and horny layer. 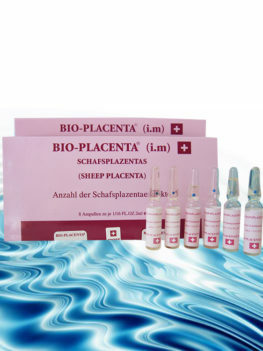 To promote skin cells regeneration. Repair and restore the overall damages. Improve skin circulation, making skin look refreshing and resilience. Contains: Aqua, Butylene Glycol, Hydrolyzed Soy Protein, Benzophenone-4, Iodopropynyl Butylcarbamate, Cl 19 140 (Yellow 5), Cl 42 090 (blue). Provides an excellent aid foe demanding skin. 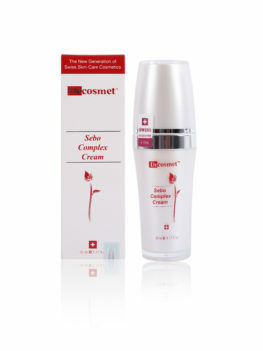 Its anti-oxidant ingredients work against premature aging. It’s repair skin damages to stress and over exposure to sunlight. Contains: Aqua, PEG-40 Hydrogenated Castor Oil, Ubiquinone, Ceramide 3, Ceramide 6, Benzyl Alcohol, Benzyl Salicylate, Linalool, Alpha-Isomethyl lonone. Ntural botanical skin lightener, tones down skin pigmentationto create a fair-looking skin complexion. Contains: Aqua, Butylene Glycol, Mannitol, Xathan Gum, Dextrin, Morus Alba, Waltheria Indica, Ferulic Acid, Sodium Gluconate, Propylparaqben, Citric Acid. An ideal biological stimulant treating tired and dull skin. 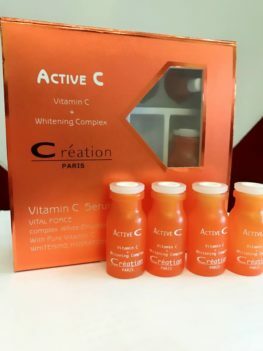 Contains amino acids which supports new cell formation. Protection against free radicals to prevent premature aging. Contains: Aqua, Probylene Glycol, Caviar Extract, Artemia Extract, Xathan Gum, Disodium EDTA, Phenoxyethanol, Cl60 730 (Violet 2), Cl 14 700 (Red 4). 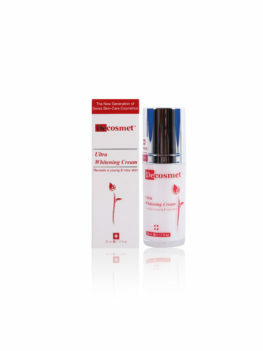 Potent active ingredients specialize in fading acne scars, burn and abrasions. Additional, bringing to the skin energy and elasticity. Contains: Aqua,PEG-40 Hydrogenated Castor Oil, Sigesbeclcia Orientalis Extract, Benzyl Salicylate, Centella Asiatica Extract, Methylparaben, Cl 42 090 (Blue 1). Combat against free radicals to delay signs of premature aging. 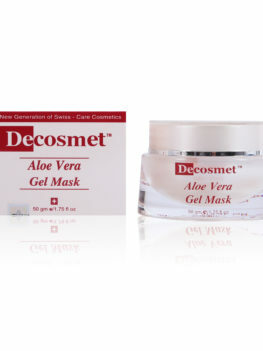 It also improves skin Structure, collagen synthesis and vitalizes overall complexion. Contains: Aqua, C12-15 Alkul Benzoaate, Sodium Ascorbyl Phophate, Acrylate, Crosspolymer, Limonenel, Citral, Eugenol, Ethylparaben. 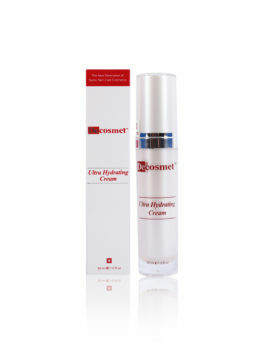 Highly moisturizing long and short chain hyaluronic acid for outer and inner skin layer. It supplies moisture and loking it for longer hydrating effects. Giving skin suppleness and smoothing. Contains: Aqua, Saccharide Isomerate, Carnoxymethyl Chitin, Benzyl Salicylate, 3 – Cyclohexene Carboxaldehyde, Alpha – Isomethyl Ionone, Hydroxycitronellal. Swiss apple stem cell preserves vitality of the skin. 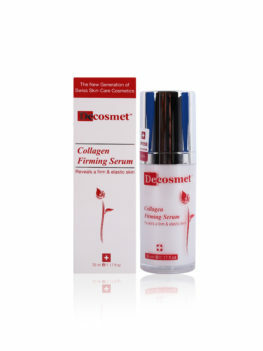 Protect against DNA damage and depth stimulate fibroblast makes collagen. Therefore it will reduce the wrinkles. Contains: Aqua, Malus Domestica Fruid Cell Culture Extract, Hydroxyethylcellulose, Levulinic Acid, Lecithin, Butylene Glycol, Propylpaqraben, Xathan Gum. Apply once a day in the evening affter cleansing. Take ampoule in one hand with a tissue over top break ampoule open with the other hand. Give content in the hand and distribute the content of the ampoule evenly over the face, neck and d collet. Apply light massage with pinching movements until the entire product is absorbed.